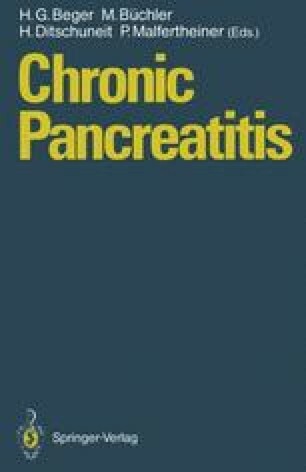 The most common complications in chronic pancreatitis are pain and the development of pseudocysts. These, as well as obstruction of the common bile duct by the fibrotic pancreas, are discussed elsewhere in this volume. The present review will concern itself with the complications of pancreatic fistula and ascites, bowel obstruction, splenic vein thrombosis, and hemorrhage.